No matter the series outcome, the resilience and execution needed to win should linger with a promising Milwaukee Bucks core. In most cases, the confetti that fell from the ceiling after Jerryd Bayless beat Derrick Rose for a buzzer-beating layup might have been a tad excessive. But Saturday, after scraping away for three games, all losses, the Milwaukee Bucks finally got one. 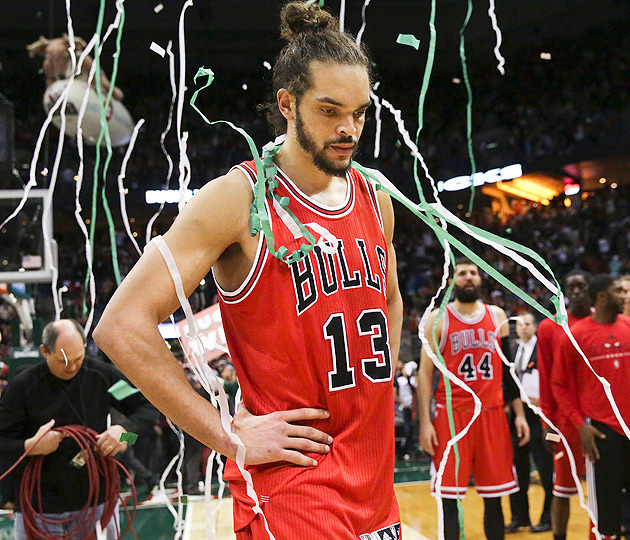 For a youthful team with nothing to lose, there was some symbolism in the result, a 92-90 Game 4 victory over the favored Chicago Bulls. Vindication came with 1.3 seconds left, after Rose turned it over off the dribble on the other end. Bulls coach Tom Thibodeau later said he’d tried, and failed, to call a timeout. No call came, as Rose barreled toward the middle of the floor and was stripped by Khris Middleton. With the game tied, Milwaukee narrowly squeezed in a timeout of its own that advanced the ball with 1.3 seconds left. Then Jared Dudley found Bayless, and the Bucks staved off elimination in front of a home crowd split roughly 50-50 with Bulls fans. Still, Milwaukee will continue to push. The series will stay scrappy, and Chicago will remain on notice. Jabari Parker, who continued to observe from the bench in a suit and who celebrated the win with an exuberant dive onto the floor, will be in uniform next season. No matter the series outcome, the resilience and execution needed to win should linger with a promising Milwaukee core. There’s a lot left to gain for the Bucks, and they've earned themselves, at minimum, another game to cut their teeth.